Luke Davies, Paris, 2014, photo by Samuel Pignan. Around ten years ago I was offered a semester of teaching at the University of Technology Sydney. I accepted the job with some hesitation, thinking that energy spent teaching would be of the irreplaceable variety, and that what I would lose forever would be energy devoted to the central concern: writing. Yet the semester turned out to be a far more rewarding and enriching experience than I imagined it could have been in that the stint came to feel like a privilege. It was not a vertical experience of didactic instruction, wherein I ‘gave’ the students – in the form of knowledge – something they needed in order to ‘improve’ their journeys towards being writers. I never felt I had such a thing to give. (Well, broad bewilderment, they could help themselves to fridges full of that.) No, I don’t know what their experience was, but for me it was more a horizontal experience of shared endeavour. Teaching is all just a continuum, we come and then we go. I was merely at that moment a person who was more published, and either a little or a lot older than the students. I figured that my fundamental task of being a teacher is to share enthusiasm. The students should then take what they need for their journeys, and leave the rest behind. Teaching once a week for half a year made me understand that it is perfectly correct to say there is no centre of things. No received viewpoint. Those insights were brought back to me in the process of being guest editor of this double-issue collaboration between Cordite Poetry Review and The Lifted Brow. I loved the fact that it was a blind submission process: only the words on the screen, no preconceptions or assumptions to cling to, no complexities of known-to-me/unknown-to-me, gender ratio etc. The experience felt very pure. I was looking for new surprises. ‘Each new contact with the cosmos renews our inner being,’ said the French philosopher Gaston Bachelard, ‘and every new cosmos is open to us when we have freed ourselves from the ties of a former sensitivity.’ I took this to mean that my personal preferences and proclivities were less important than an openness to what others might be up to, with their proclivities in play. And that each new poet was a cosmos unto themselves. And that close reading could repay the attention in the coin of surprise. The physicist Werner Heisenberg would have understood the umami mystery; how a particle can exist as a combination of multiple states. There are questions that would not make sense outside of poetry that make perfect sense within it. Heisenberg, a true heir to Keats in the sense of wearing his negative capability like a multi-coloured cloak, came up with the uncertainty principle, a paean to wonder that dismissed as a category error the question ‘Are the smallest elements waves or particles?’ The answer was not that in different circumstances they can be either. (They can be, and are.) It was that they are, in fact, both. It is only how we measure (interpret) them that render them wave or particle. That moment of knowledge is a moment of collapse and loss: a fall, so to speak. Every event is a branch point. Until Schrodinger’s box is opened, his long-suffering cat is neither dead nor alive. In the selection process I found myself drawn to pieces that hovered at this edge of knowing: where the ‘messiness’ is. It wasn’t that I was discarding form; it’s just that in the interest of variety, I tried not discriminate between whether in any given poem (or prose piece) energy trumped form or vice versa. ‘The present moment is a condition where there is absolutely no separation between yourself and things,’ wrote the Buddhist teacher Sekkei Harada. ‘That is not to say, though, that there exists such a thing as the present moment.’ I wanted to find no separation between myself, whatever fragmentary knowledge I had of the current ‘scene(s)’ in Australian poetry, and the work in which I found things to admire. The blind submission method was perfect for this. I juggled and revised a jumble of Yes, No and Maybe lists. There were poems that hit me in the gut. There were others I couldn’t quite get my radar on, but I kept coming back for subsequent re-readings. In the end, I reduced the 700 submitted to the 50 or so poems that make up this issue. Many of the submitted poems and micro-fiction were clearly not contenders; the first pass of the No pile was not a difficult one. But, in the end, there were at least 50 poems that didn’t make it in that could have and would have sat well in this issue. IN MEMORIAM. My friend the Irish poet, playwright and novelist Dermot Healy died suddenly on 29 June, 2014. He wrote the extraordinary novel A Goat’s Song, and much poetry. I interviewed him at the Sydney Writers’ Festival in 2013, and he launched my book Four Plots For Magnets at the Brett Whitely studio in the same week. They were two of his last public performances. He will be missed. His widow Helen Healy and Peter Fallon, publisher of The Gallery Press in Ireland, kindly gave permission to publish the two Healy poems which appear here, from the just-published posthumous collection The Travels of Sorrow. My thanks for their kindness. The fine poet and beloved teacher Martin Harrison, with whom I’d shared the pleasures of a developing literary friendship in more recent times, died suddenly on 6 September 2014. He had agreed to give me a poem for this issue — alas, it was never to arrive. This issue is dedicated to the memories of Healy and Harrison. This entry was posted in ESSAYS and tagged Luke Davies. Bookmark the permalink. 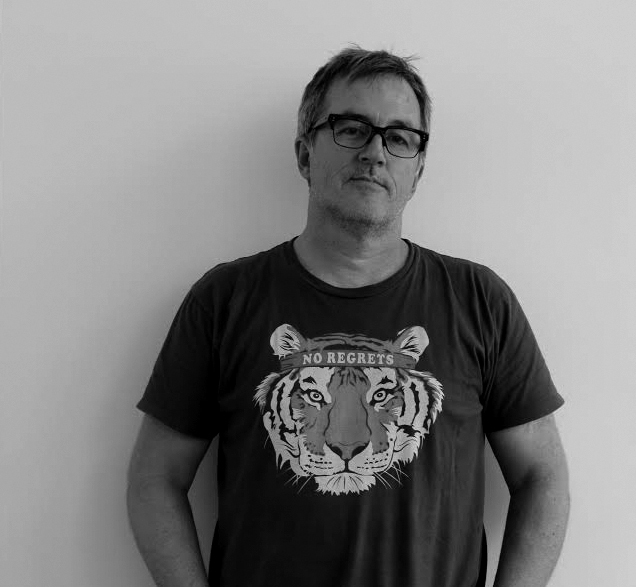 Luke Davies is the author of five volumes of poetry and three novels. Totem was the Age Book of the Year and Interferon Psalms won the 2012 Prime Minister’s Literary Award. Davies adapted the feature film Candy from his cult novel of the same name. His film Life (directed by Anton Corbijn) was recently released worldwide. Lion (directed by Garth Davis) will be released in 2016. He is film critic for The Monthly. He is currently working on a TV adaptation of Catch-22 for the producers of True Detective. He lives in Los Angeles.